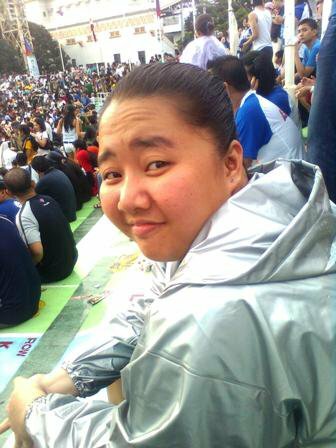 July 2011 – Life's a Trip! 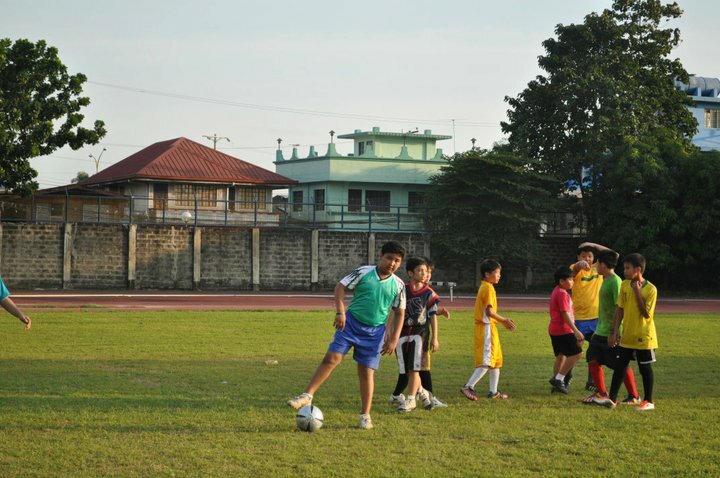 Training day is busy day for Pasig United F.C. 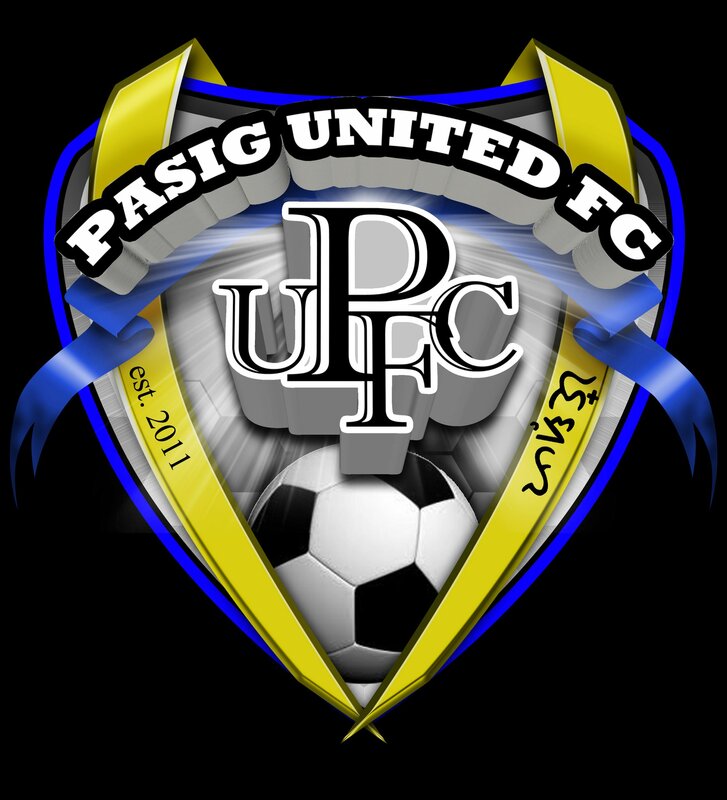 i’ve already talked about my team Pasig United Football Club in my previous posts and i wanted to share more of PUFC here in my blog. last saturday training, i came in late so i decided not to join the practice and to just take pictures! 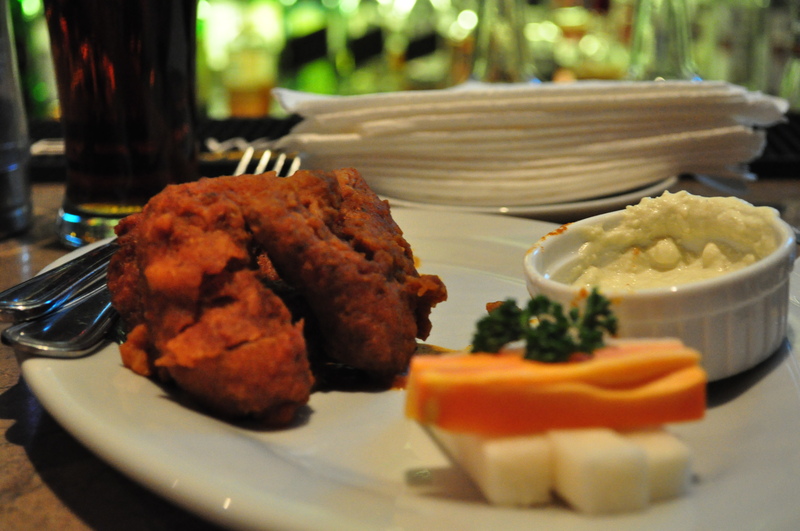 so with Aly (my Nikon D5000) in tow, i snapped pictures away! 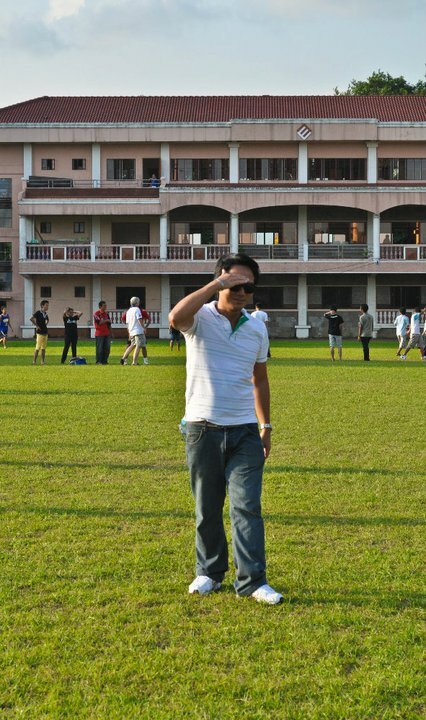 i was actually surprised last saturday when i arrived at RHS football field. Lots of people, most of them kids, showed up for practice/training! finally, more people are now interested with the beautiful game. 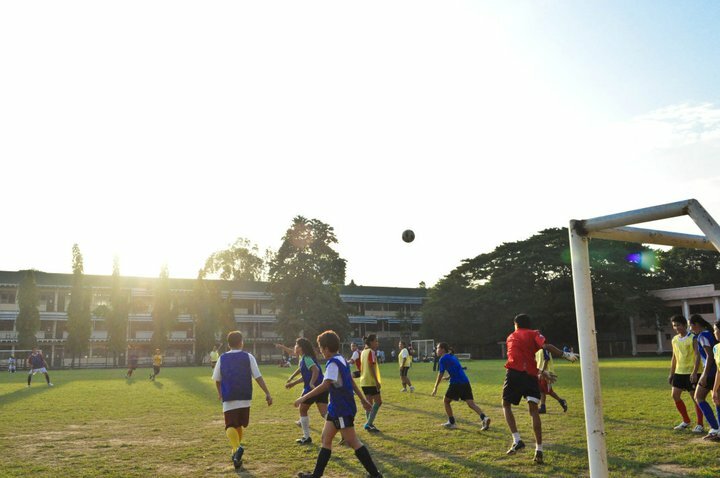 its really heart-warming to tell you honestly coz I always believed that Pinoys are cut out to play football and not basketball (what?!? are Pinoys tall? we’re average-sized Asian people, not the built needed for basketball! c’mon!). 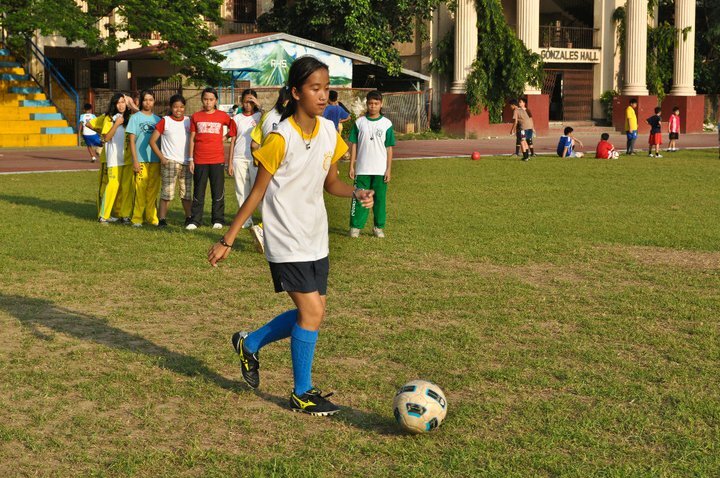 football is the custom-fit sport for Pinoys. 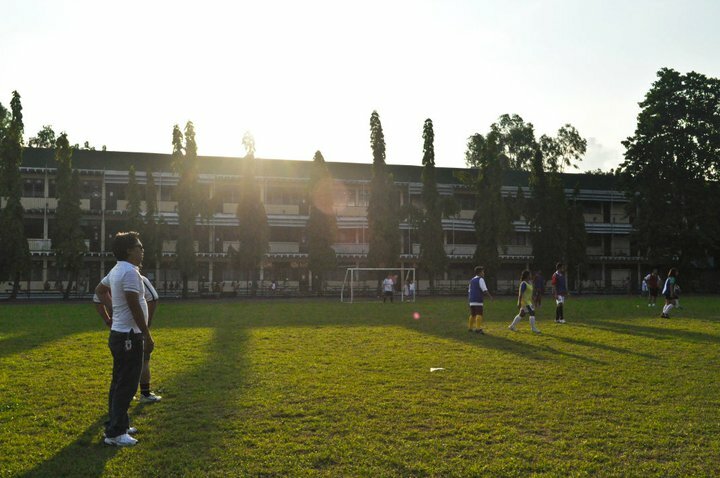 what’s even surprising is that Pasig United F.C seems to be getting the (much-needed) attention from Politicians, spectators, Football fans, players, & coaches coz i’ve seen several people talking to our coach, 2 politicians already approached him (sana lang magbigay po ng suporta and not just promises or whatever), one even said that we can actually go and try our luck in WFL..
and also that day, we started the training program for young football-aspiring girls! 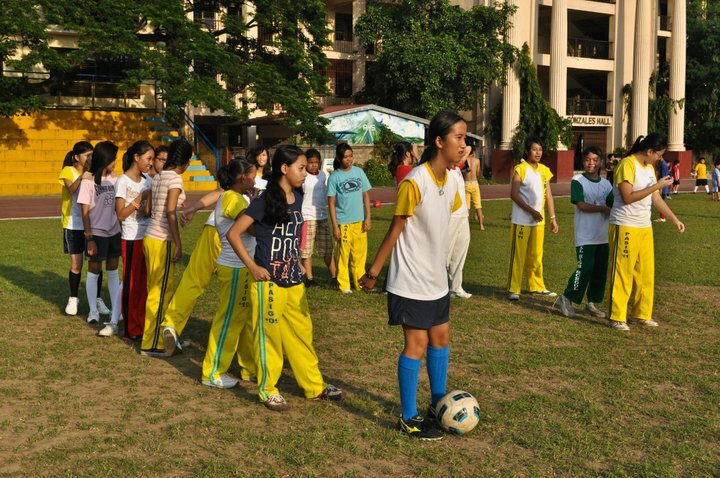 the turn out was good with Kuya Mike handling the session together with one of our players in the women’s team, Judith. well in this case its Ate Judith! haha! 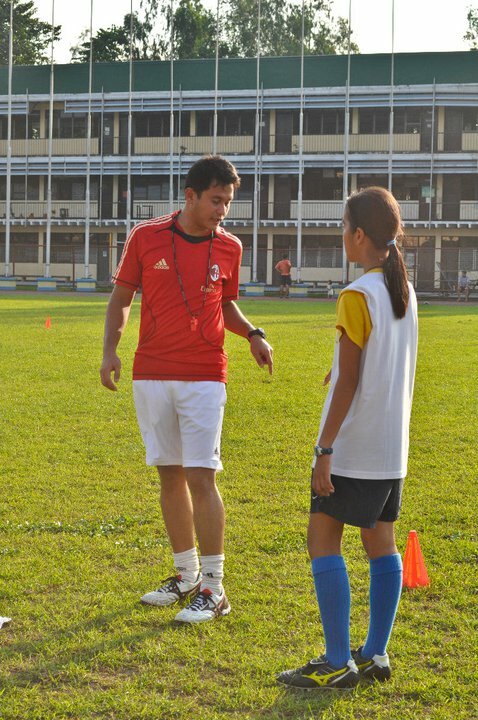 one of our resident coaches, Kuya Mike & PUFC Women's team member Judith! Ate Judith & the kiddos! 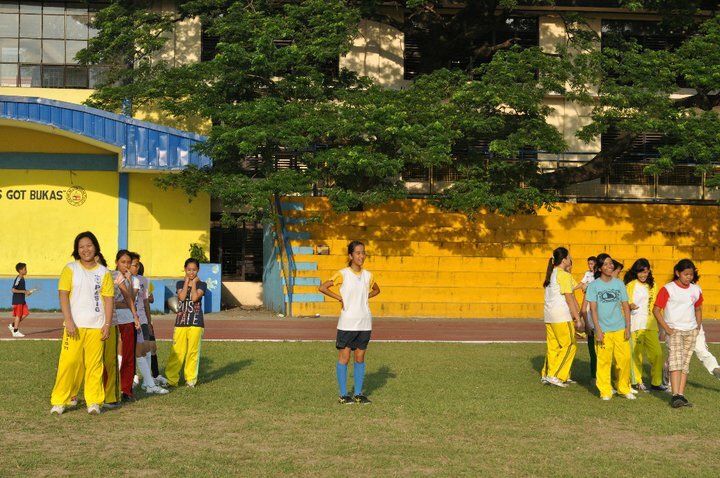 Judith and the girls gettin’ ready to do the footy drills! 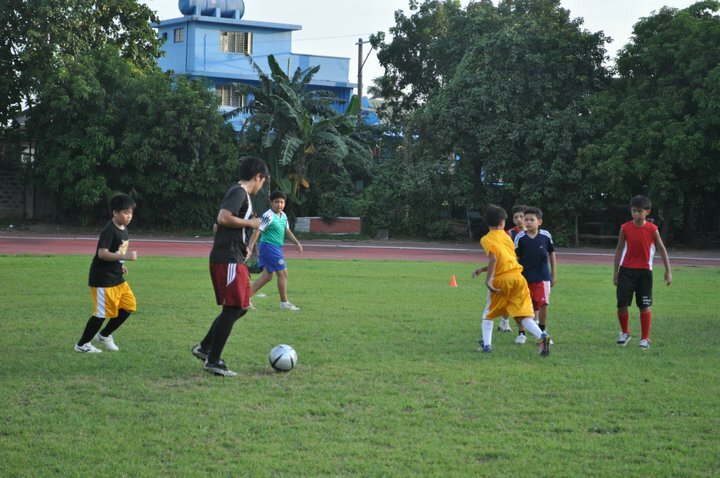 our little boys in action! what can i say, our little boys are bit advance over the girls. they’re playing scrimmages na while our girls has just started out so all drills for them. actually, if you really want to learn, its much better if you participate in scrimmages to get the feel of the game. tacticals will just follow given that you train regularly. 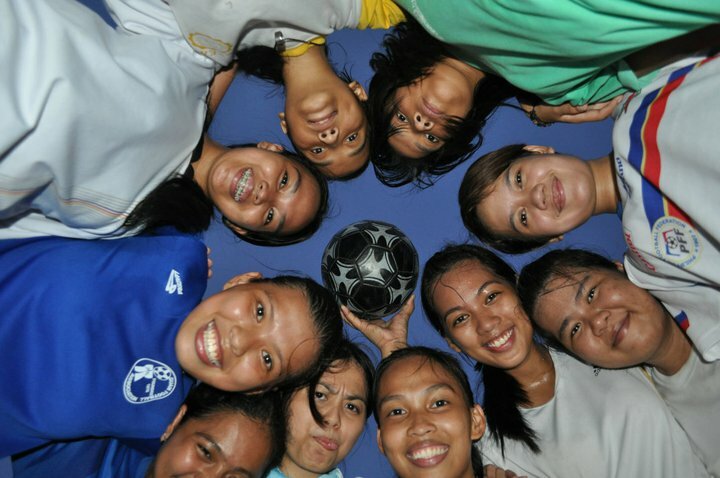 now movin’ on, its time for the Ates & Kuyas to play! we’ve got to train too you know to keep our skills sharp and fine-tuned! 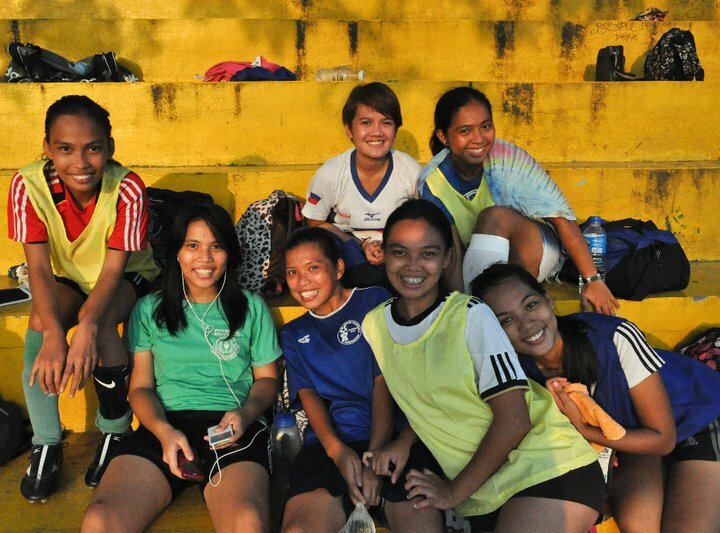 meet the PUFC Women’s Team. Yeah I know, I know we all look nice but beware, these girls can bite! and when they do, they bite hard! haha! 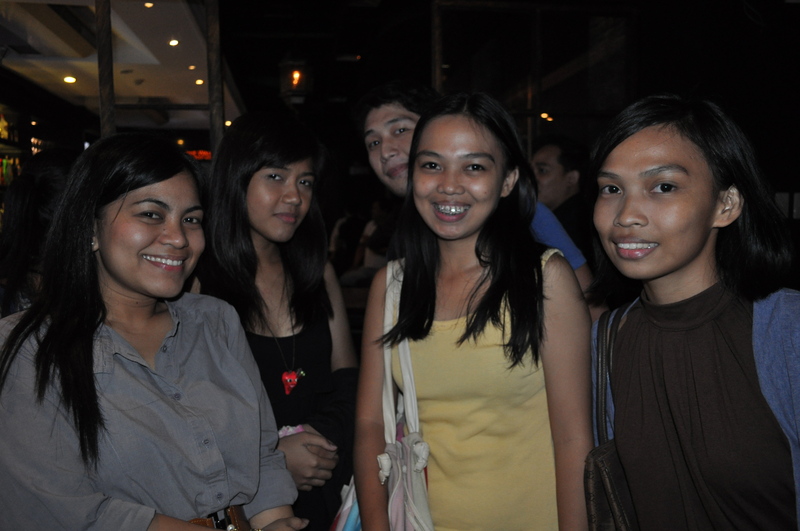 But on this picture, we’re not complete. 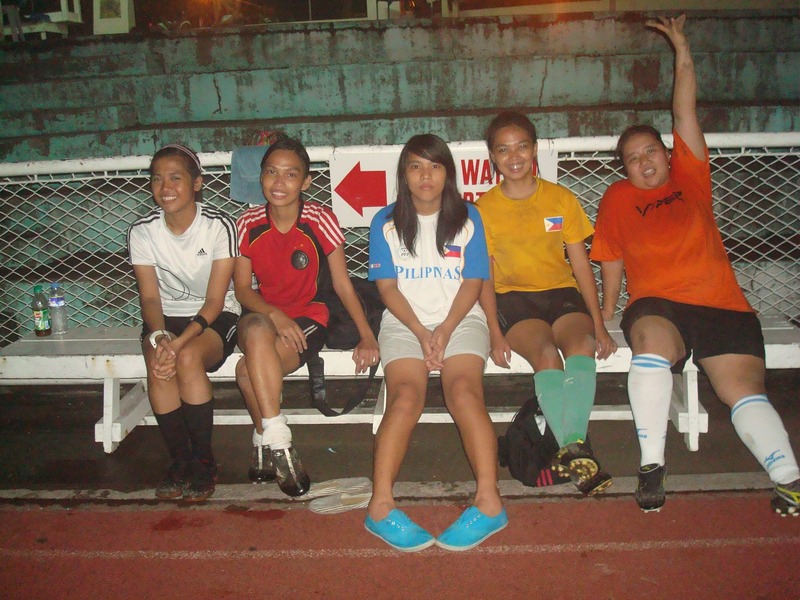 We missed our Midfielder Leslie Laya and me of course, coz I’m the one taking the picture! this makes me hate i’m the resident photographer! 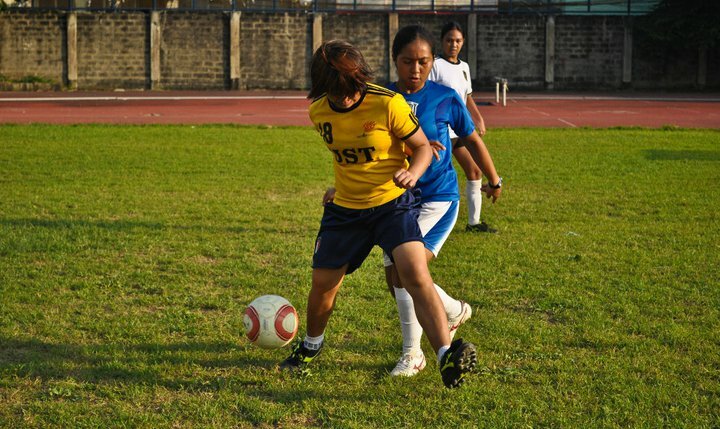 oh well..
Posted on July 21, 2011 August 3, 2011 Categories Dyan sa Tabi-tabi =), Philippine Football Team AZKALSTags club, football, football club, football training, pasig, Pasig United F.C, Philippine Football, philippines, soccer, training8 Comments on Training day is busy day for Pasig United F.C. Several days and off we go to Laurel Cup 2011! woohoo! Ask me 3 weeks ago and I wouldn’t even want to talk about the tournament. I get so stressed that I shrug off anything that might remind me of the tourney. I dreaded the day I’ll be going out of the pitch to battle it out with several stronger football teams, felt like I just can’t do it even if I’m training for a month now. But I realized that it’s the make or break point. What’s the point of this whole training for football if I won’t compete? What’s the point of all those Saturdays that I used? What’s the point of all of these? What’s even the point of joining the club if I won’t get myself out there to play and earn wins for the team? So, after watching the epic game of Philippine Team Azkals last sunday where they crushed, lemme repeat that, crushed Sri Lanka Brave Reds, 4-nil, I conditioned myself that at one point or another, I have to swallow fear and go play the game with the team! Pinoy ata to! Di natatakot at di umuurong sa laban! 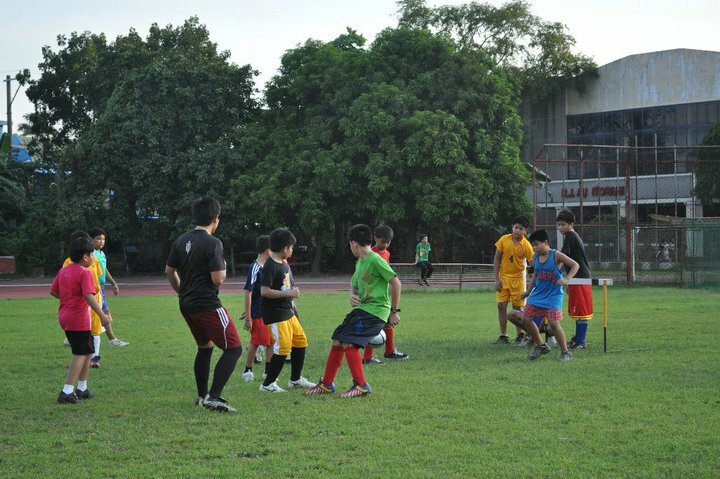 hehe.. To prep & step up for the match this sunday, me and my team started our very own version of TRAINING CAMP! woot-woot! It may not be as swag as the PHL Azkals German Training Camp and we may not be living under one roof but at least we get a CAMP, period! haha! 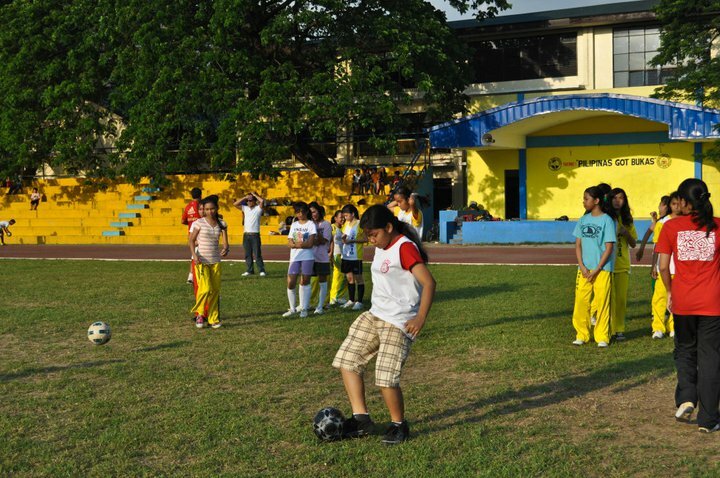 We started last Wednesday, June 29 during the Away game of our very own Philippine Football Team Azkals. 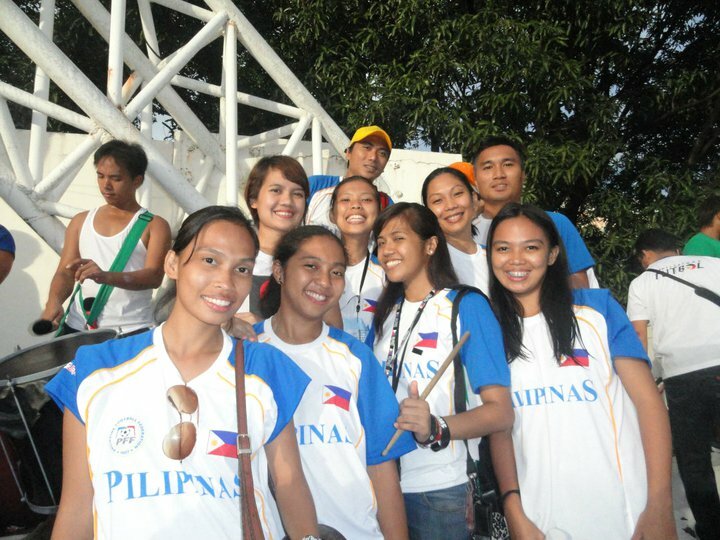 This was our very first team bonding session and was lucky enough to get free invites from Sky Cable. 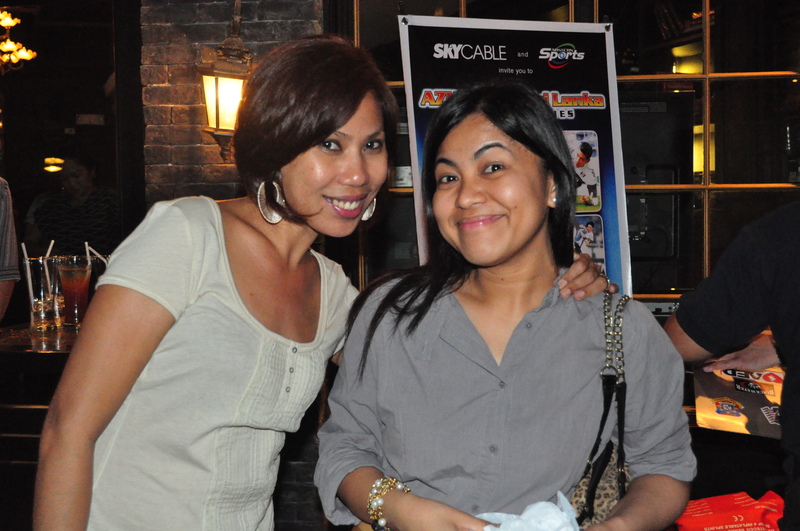 Thanks to Ms. Enchie of Sky Cable marketing, we dined & watch at the posh Dillinger’s resto in Greenbelt 3, Makati. 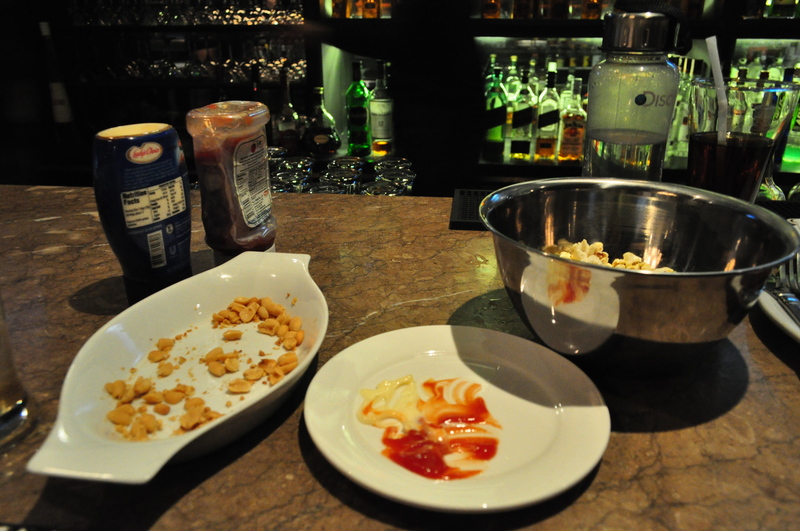 Drinks were flowing for free and we have complimentary garlic peanuts & pop corn! The game may not end on a sweet note coz its a draw between us and Sri Lanka, but at least my team get to bond! 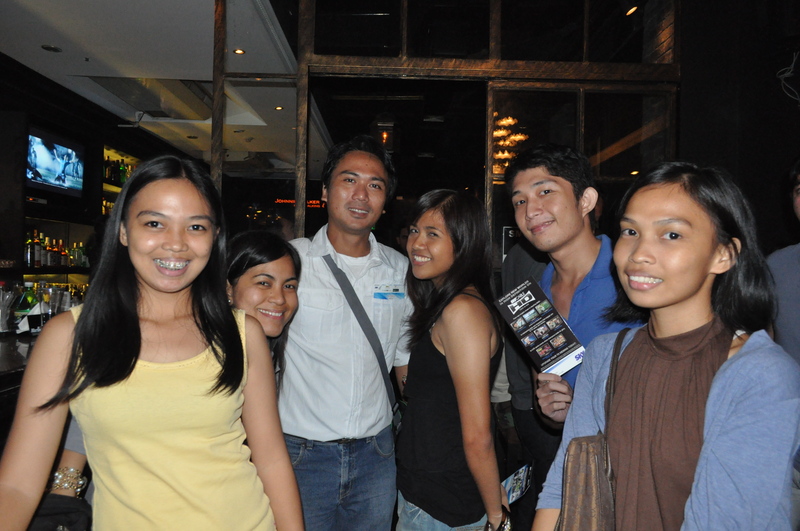 Our coach dropped by Dillinger’s after work! 😀 sad though that most of the team didn’t make it. Should be fun if we’re complete. 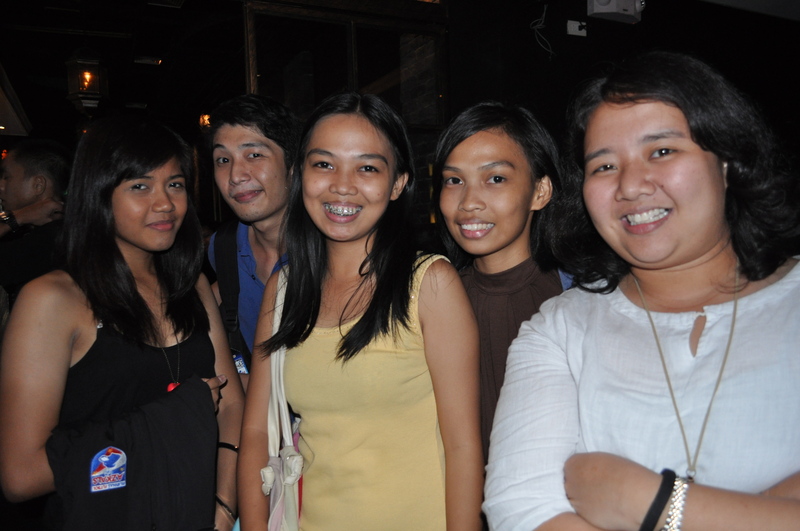 the posh but loud crowd at Dillinger’s! Chowed down chicken wings, french fries, garlic peanuts, & pop corn! oh and i downed two servings of iced tea mixed with emperador light! haha! 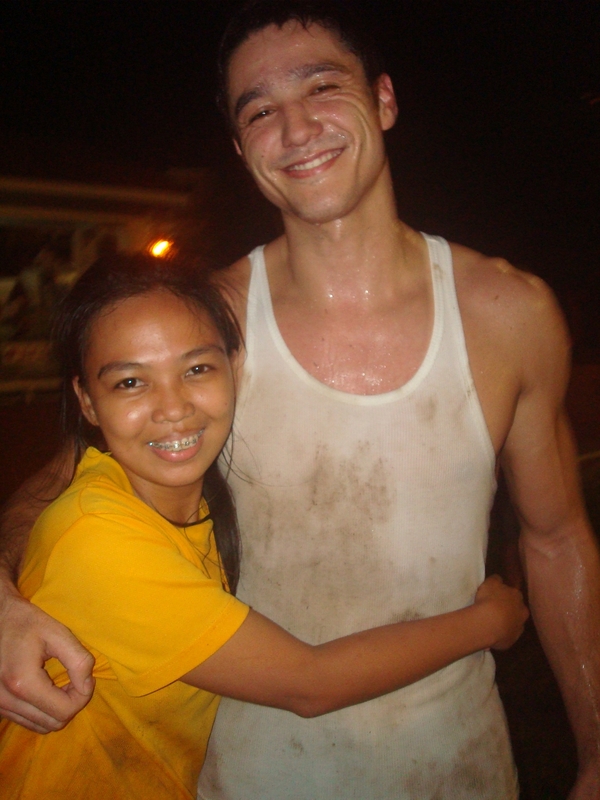 Ms. Enchie with mah good friend Zsazsa! After the intense tune-up game with PHILSCA, we readied ourselves for the main event of the week: WORLD CUP QUALIFYING MATCH!!! 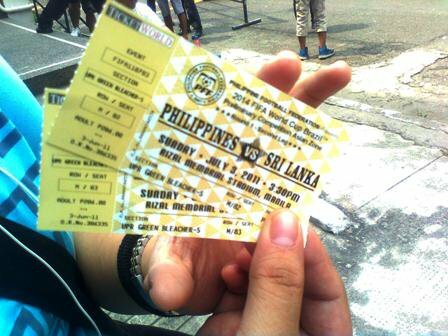 Philippine Azkals vs. Sri Lanka Brave Reds at Rizal Stadium. 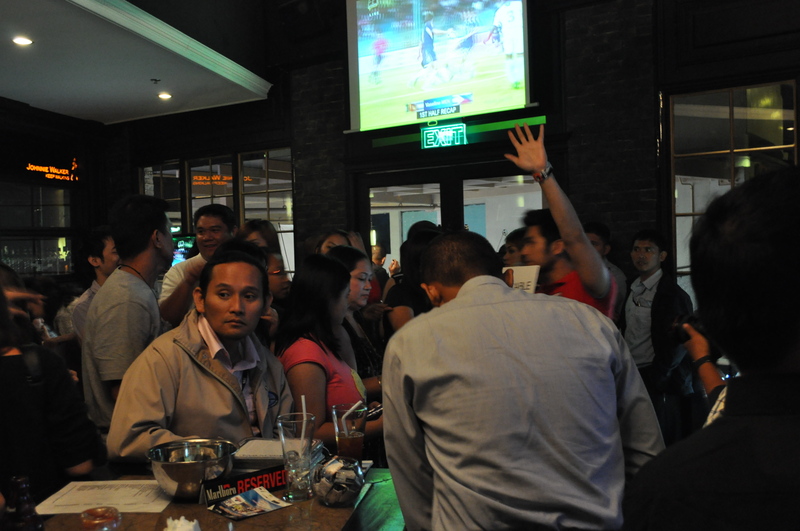 This is the home game so everyone’s excited and all ready to cheer Azkals loud and proud. Me and Zsazsa already have our tickets and on the last minute, PUFC team were able to get tickets for the white bleachers and lucky them, they cheered with the Kaholeros! True, we’re seated in different places but the beautiful game united all of us, not just me & PUFC team, but the country! it just amazes me how one game can unite all people coming from different lives, just amazing..
see those guys walking at the track? 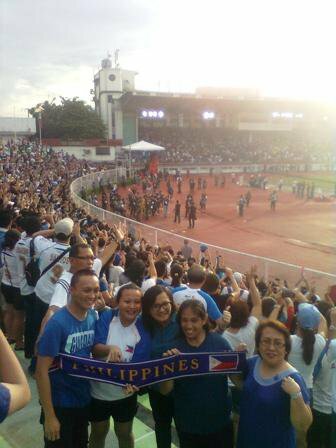 That’s our swag Philippine Team Azkals who didn’t let Sri Lanka score on home soil! good job guys! good job! These pics were taken from a Nokia phone. Professional cameras, SLRs were not allowed that day so I’m sad I wasn’t able to take proper shots with Aly. I feel handicapped without my SLR. ='( thanks to my friend Zsazsa who got her phone up and working and took all the pics that day. tickets! got it last June 03. yep got that right, I booked it 1 month before the match! Tickets were sold out in a matter of minutes as in serious! More than the training, it was actually bonding time for my team too! 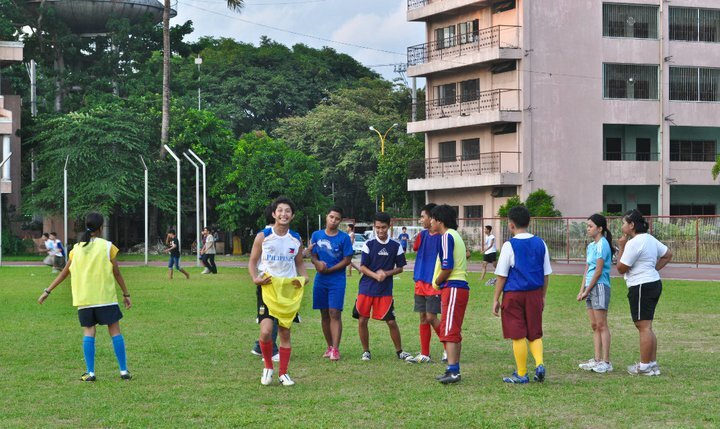 from bondings, we form chemistry which we can use while playing on the pitch. Chemistry plays an important role in the field coz if players have chemistry, they can easily read each other’s moves therefore creating a favorable game play. 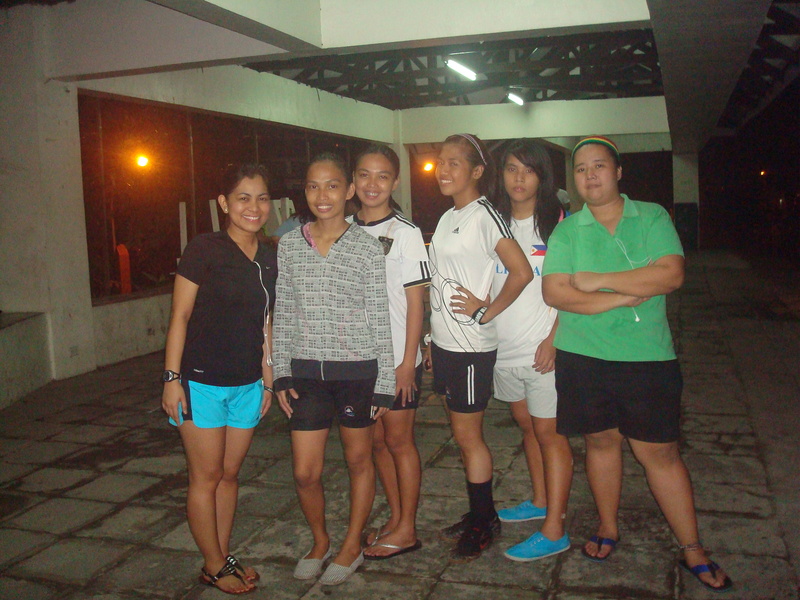 Last night’s session also thought us the importance of camaraderie and support to each other. In Rugby, the team moves in synch, moving like one unit so everybody should be attuned to all the members of the team. man, serious! PUFC girls are tough! to the core! as in! We were able to finish the intense Rugby training in one piece! haha! proud of you ladies! good job! weee! si andrew ayun! haha! 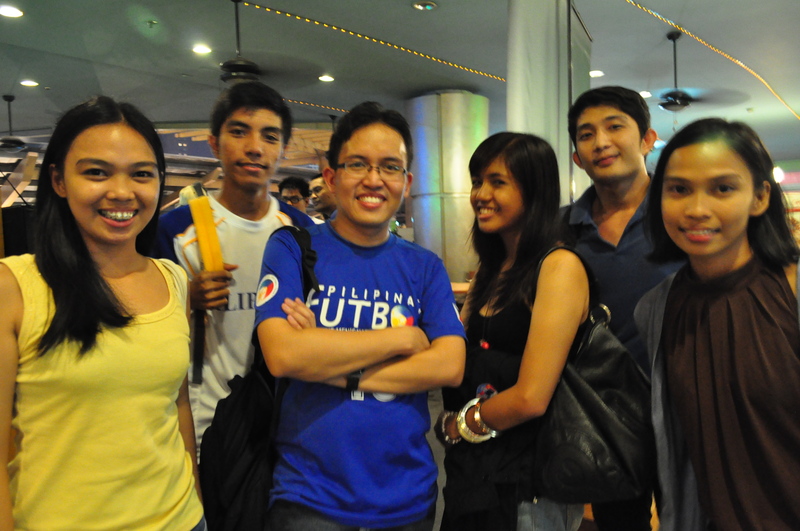 here, we’re actually waiting for Andrew Wolff to wrap his conversation up with the PHL Rugby team head coach. The coach is quite scary! hehe..
got this new-found respect for the sports Rugby and hands down to all the athletes of PHL Rugby Team and U-23 Football Team!!! why? Ultra pitch is a BEE-OTCH!! as in! super hard to train! saludo po ako sa inyo talaga!